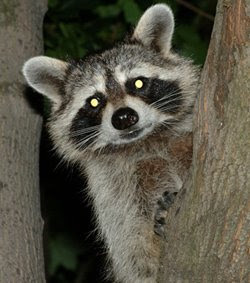 Have you experienced the raccoon in the headlights yet? You know those times when you are trying to explain that the way things used to be done, can't be done as well anymore? The story is paramount, what you want to portray in your commercial, show, or website is crucial to success. But simply exposing the message or story solely through traditional channels may not be the wisest strategy anymore. The price of admission is not simply being in the game – that’s not good enough and it’s dangerous. Some ideas aren’t ready. Plastering your message on a billboard or integrating a storyline in to your product are tactics used once you can realistically manage your expectations. With television, visual and online productions we find clients are struggling with social media options and smaller but more accurate metrics. With integration and the Internet, it is increasingly more difficult and expensive to reach your potential audience with a wide aimless swath. I equate it to an independent band. In the early days, the buzz is created by a tiny group of early adopters who shared the music and story with their friends. The influencers keep the story going while the band kept making music and doing shows. Long gone are the days a when band would release a collection of songs on a piece of plastic and sell it in a retail setting, or sell it at all. That may work for Britney and AC/DC but most bands (and companies) need to look at a new reality. Not even the overexposed are selling like they used to. Mass media will no longer solve all problems or provide the same solutions as it did in the past. Face it, not everyone is Microsoft or Apple with deep pockets to blanket the new and the old realities. The rest of us need to be careful and make choices. There are more options for both the content provider and the audience. It takes patience and courage to navigate the minefield. Without the right targeted message or story, you may as well spend your money on something else. There are no winning lottery tickets here. Formulas and templates are tougher to retrofit these days. This will take some time. As we discover new options with the integration of entertainment and advertising, we must remember that if you live on the edge, you can’t expect a crowd.